Bathroom and wetroom products manufacturer and distributor Abacus Bathrooms has released plumbing fittings designed to simplify bathroom installation. The chrome professional universal basin waste suits slotted and unslotted basins and comes with a free flow adapator. This partners a designer angle isolation valve for exposed under basin pipework, with quarter turn valves to suit all taps including 10mm, 3/3″ and 1/2″. Completing the line-up is a professional designer bottle trap kit. 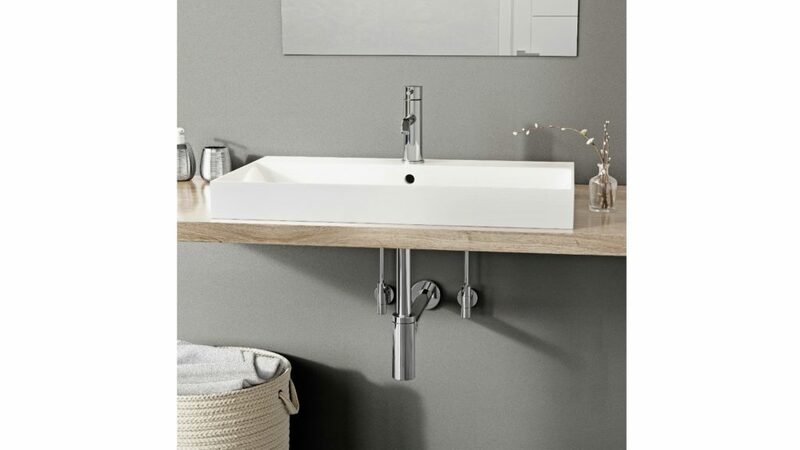 The plumbing products add to the wide ranging portfolio from Abacus Bathrooms which includes a sanitaryware collection by fashion designer Ben de Lisi. Established in 1989, Abacus Bathrooms supplies bathroom, waterproofing and insulation materials to the merchant and retail sectors.